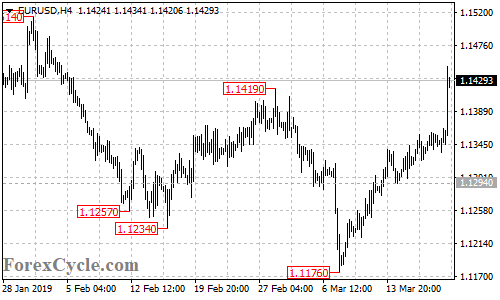 EURUSD extended its upside movement from 1.1176 to as high as 1.1448, breaking above 1.1419 resistance. Further rise is still possible after a minor consolidation and next target would be at 1.1500 area. Support is at 1.1390, as long as this level holds, the uptrend will continue. Previous Previous post: Can Chipotle Mexican Grill (CMG) Break to New All time Highs ?